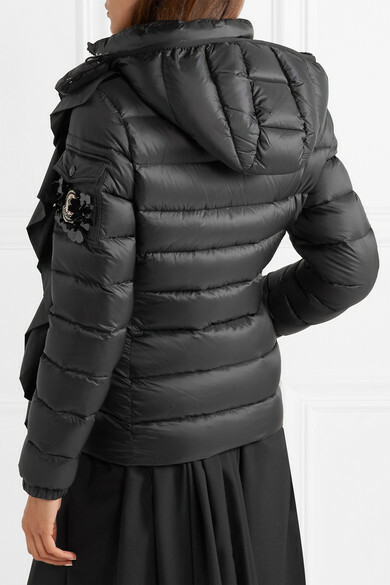 The first collaboration between Moncler Genius and Simone Rocha is inspired by women mountaineers of the 19th century, who had to wear skirts while climbing. 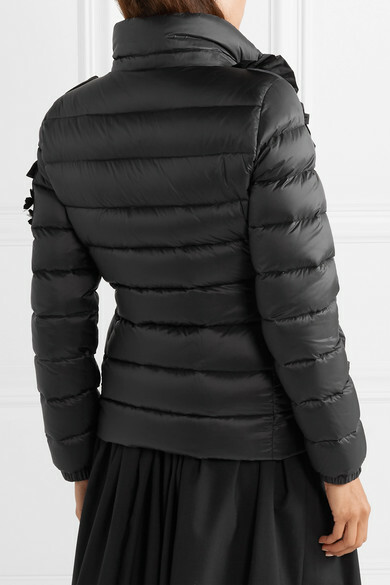 Her interpretation of the label's classic 'Bady' jacket is filled with insulating down and has feminine ruffles cascading down the front. 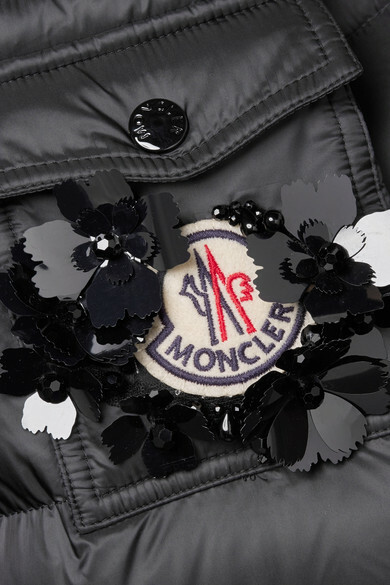 We particularly love the sequined flowers emerging from the signature patch. 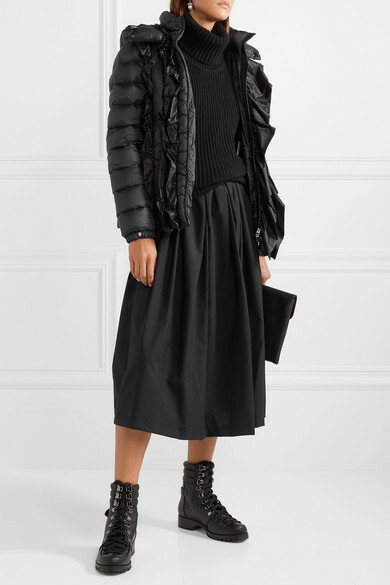 Shown here with: Comme des Garçons GIRL Skirt, Antonio Berardi Top, Givenchy Clutch, Christian Louboutin Ankle boots, Gucci Earrings.